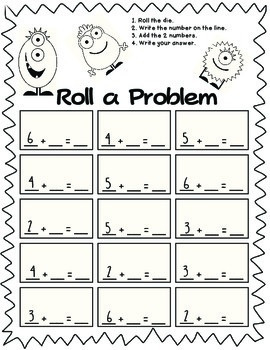 Sometimes you need a QUICK PREP math center. For this simple to prepare math center all you need is dice. 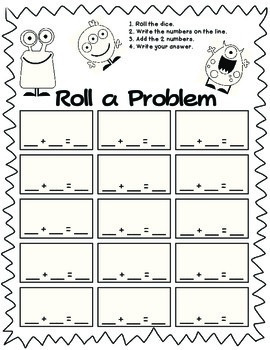 Students roll the die or dice and write the number or numbers on the line (lines). Students then add this number to the printed number or add both numbers together. My students love this activity and I love the simplicity in planning. I print back to back.